Natasha Bertrand is just about the best current journalist out there, a nicer version of Woodward and Bernstein, both of whom devolved to hating the Clintons. We will see if hard-working and meticulous journalists will be enough this time. The New York Times is almost completely worthless now, as is CNN; and most of the rest is state-run media. The existential question is whether all the facts actually matter. 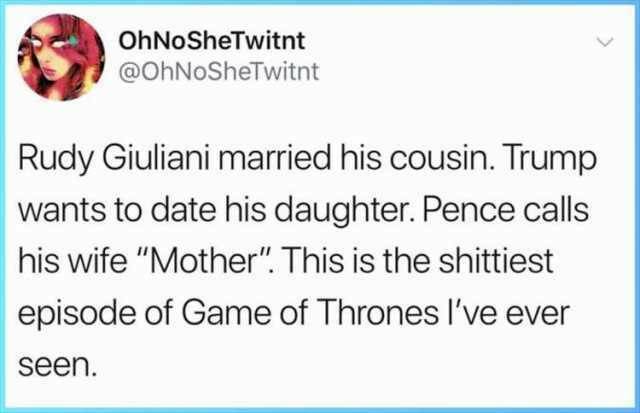 Trump and Giuliani conduct a daily assault on the truth. All of what is going on can come out, but simply be passed off by most of the media, and certainly by the Congress. So all that is left is the voters. No one currently in power is going to “wake up,” and say, “this is enough.” That is a mythology now; they are not being duped, they are all-in with the authoritarianism. That is a strange video. Throws in a host of tyrants who tried to take over the world, and then adds Bill Clinton, calls him ‘ “the former governor of Arkansas.” CDS is a real thing, and it may even have been the raison d’etre of this video. What none of the actual tyrants in this ditty had the advantage of, was a far-flung media which would amplify their every speech and utterance on TV a hundred times a day, because it enhanced their ratings and pocketbooks. They didn’t have the social network which allows their lies to be disseminated by stooges and robots. And they did not realize that if they got the richest people on their side, by promising them wealth beyond their dreams, these people would allow them to get away with everything else. Ordinarily the aristocracy in Europe would decide that the despotic king was a threat to them, and would try to curtail or usurp him. But now we have the billionaire oligarchs conspiring with the tyrants who promise them that they can work together to plunder the lives of everyone else. I wonder what measures the oligarchs have in place to deal with tyrants who double-cross them, that being part of the nature of a tyrant’s personality. You do realize that it was Pinky, the not-so-bright one, who brought in BC as an example? Ah, the gaps in my knowledge of pop culture. I have heard of Pinky and the Brain, but had no idea what it was. I did recognize the Gilbert and Sullivan song. though. The folks who made Tiny Toon Adventures, Animaniacs, Pinky and the Brain, and Freakazoid! also did a show called Histeria!. 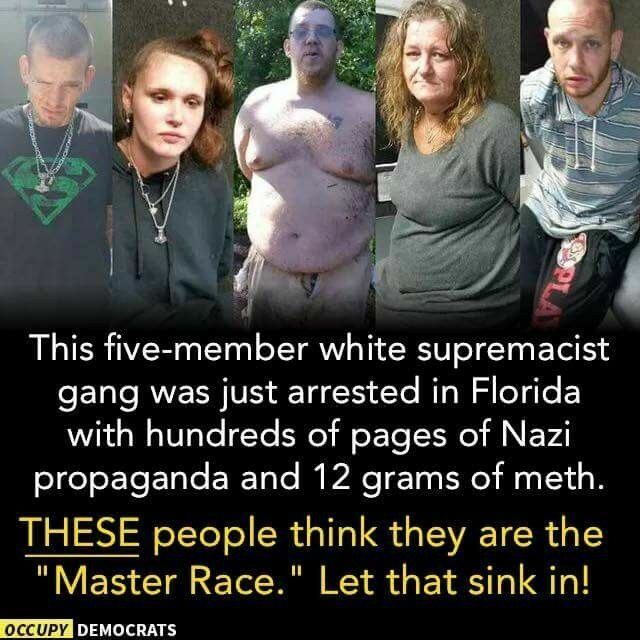 Everyone of them is a criminal! Lock her up! Ivanka is no longer singing "Diamonds Are A Girl's Best Friend." Ivanka's now defunct diamond co. is caught in a massive money-laundering & fraud scheme. oh no, the pic does not show and that is the best part. click on it. Apparently Obama/Biden pulled a stunt at a G’town bakery today. But I prefer to have run into this couple instead.